Home backyard looks more beautiful with a shed. With tools and equipment properly stored in it, garden space will not be limited. There will be enough places for family outdoor activities, vegetable beds and greenhouse. That is why shed construction should not be taken for granted. Home owners must consider this an important project much like to building their house. It may sound difficult at first but you can get ideas from online resources so you can put up your own dream garden shed. In learning how to construct a shed, here are some things for consideration. Size matters. There are various sizes for sheds. 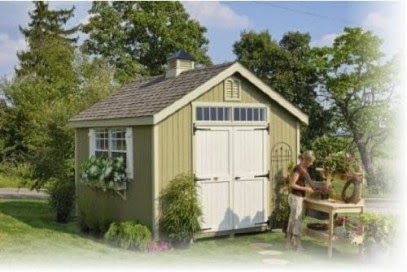 An 8x12 shed would be a great size for working or storing tools. A 10x10 shed can fit all your stuff. If you have a smaller garden, then a 6x6 shed would be a better choice. Picking the right size is the initial step to a successful shed construction. Choose the best size that meets your purpose and fits well on the available space in your yard. Shed Permit. You may be required to seek permit when building your shed. It is said that the larger the shed, the greater chance that you will need a permit. Know the standard requirements in your area. Normally they would ask for your building plan, accomplished forms, contractor license and even insurance. DIY or prepared shed plans. You can save time with DIY shed plans. There are great shed designs readily available for purchase. This comes with construction plans and building lessons instructing you on how to put up your new shed. Fabric Sheds. All sheds with fabric covering, polyethylene and canvas fall on this category. With technology today, you can have them with anti-fungal agents and UV resistance. Fabric sheds are inexpensive and this could be the quick solution to your need. It is great for temporary shelter. The disadvantage is that fabric will easily tear. Usually there is no built in floor for this type of shed so whatever you put inside will get wet when heavy rain comes. Plastic Sheds. Designed for outdoor use, the plastic material is quite hard, of high density and UV resistant. Plastic floor is easy to clean making home owners happy to have them in their yard. While it is value for money, it does not stand extreme temperatures. Metal Sheds. With coatings and build quality improved, shed manufacturers opt for this type. You can find decent and inexpensive shed made out of this material. If installed properly, steel buildings are long lasting with little maintenance required. The problem though is that it is prone to rust and corrosion. Wood Sheds. The natural characteristic of wood makes a classic garden shed. The material is strong and solid making it still the top choice for shed building. Wood has imperfections too and it requires proper care and maintenance. Pests are very attracted to it. For your shed to be reliable, know the advantages and disadvantage of each type before finally deciding which to buy. About the author: Kenneth Lawrence is a passionate "handyman". His crafts involve DIY home improvement concepts. He likes to share guidelines and tips about stuff on home improvement. He reads almost anything that can hone his skills and increase his knowledge about DIY concepts. 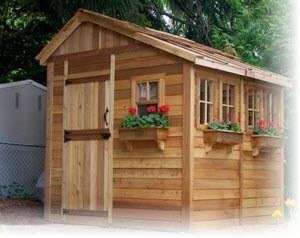 He shares this great resource http://zacsgarden.com/how-to-build-a-shed/which-one-do-i-need/sheds-by-size/top-10-best-8x6-sheds for building your garden shed.